We offer a surf clinic where you can sign up for a monthly amount of classes and go through a more intense surf training schedule. The classes & training sessions focus on your personal fitness and also you surfing technique. The surf clinic needs dedication and focus from the student and the rewards are rapid progression with all aspects of your surfing and fitness. 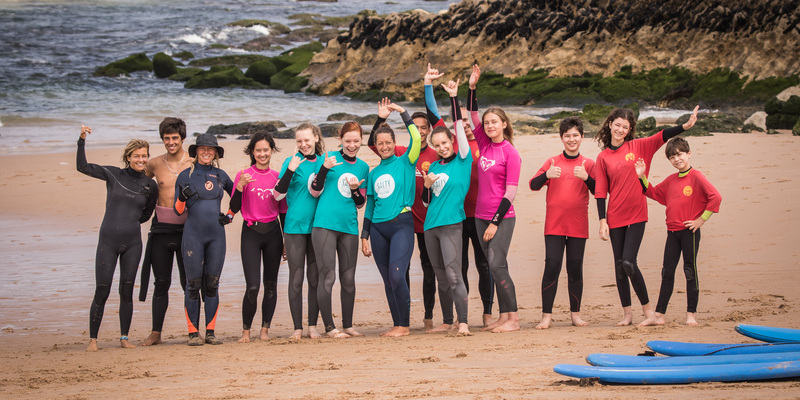 In the summer months we offer a surf camp where you can leave your children during the day for some of hours of surf classes divided by breaks for food, drink and rest! For more information we kindly ask you just to call or e.mail us for more information and prices. We remain flexible to parents needs and will put together a surfing shedule that keeps everyone happy.